'Harry Perkins was buried on the day that America declared war on China.' 'Brexit Britain was a gloomy place. True, the Armageddon that some had prophesied had not occurred, but neither had economic miracle promised by the Brexiteers. Instead there had been a long, slow decline into insularity and irrelevance. The value of the pound had fallen steadily against the Euro, the dollar and the Yuan. The much vaunted increase in trade with the Commonwealth had not materialised. The Americans, too, were proving particularly obstreperous. Even now after a nearly decade of negotiations no significant agreements had been reached. At the UN there was talk of relieving the UK of its seat on the Security Council.' 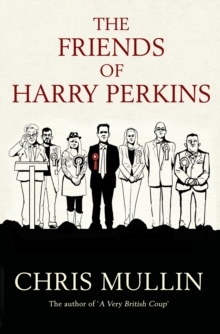 Thirty-five years after the publication of A Very British Coup, former Labour MP Chris Mullin has written a compelling and timely sequel. In a near-future, post-Brexit Britain, the fault lines forged in the white heat of the referendum have become entrenched features of British political life. Britain's standing in the world has steadily diminished as its problems have grown. Into the maelstrom steps Fred Thompson, former aide to left-wing prime minister Harry Perkins and his successor as MP for Sheffield Parkside. As he ascends the greasy pole of British politics, Thompson must deal with corruption, the threat of the Far Right and personal tragedy. Along the way, he learns that power does not come without a personal price and that shadowy forces are at work behind the scenes...which, this time, appear to be on his side. At once a gripping political thriller and a chilling prognostication of where we may be headed, this taut, insightful and engrossing novel is essential reading for our troubled times. The definitive post-Brexit novel, and long-awaited sequel to the bestselling A Very British Coup. 'Terrific...measured, heart-stopping, moving, clear-eyed'. Stephen Frears 'Brilliant, chilling and all too plausible.' Alastair Campbell 'A very knowledgeable and pleasurable political thriller.' Mark Lawson, The Guardian `Readable and very entertaining, and should appeal to both sides of the divide.